Had to share this picture from my phone when I was on vacation. 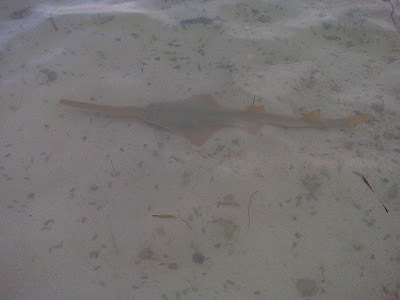 This Sawfish was swimming around just feet from the shoreline. When Alicia and I went to Key West, FL, we noticed a poster that wanted Sawfish information because there is limited data about this species. So I called the number and this week I finished all of the data that was needed for the research team. This is a photo of a two foot long sawfish which is considered a newborn at this size.